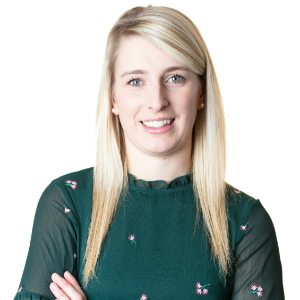 Sarah Pollard joined Burnetts in 2010, initially as a receptionist, but joined the Debt Recovery team as a secretary in 2014 and was promoted to Paralegal in 2017. She is the first point of contact for clients contacting the Debt Recovery team. In her day to day role Sarah drafts and sends letters of claim and Letters Before Action (LBAs) on behalf of clients as well as issuing County Court proceedings for unpaid debts. Contacting debtors to set up instalment plans, taking payments, and sending reminder letters is also a large part of her work. Sarah lives in Carlisle and in her spare time enjoys family time with her young daughter and going to the gym.